Haven't tried our Group X Programs? You’re in for a treat this weekend! AIF is launching all Programs! Want to feel invincible? Get it all out in Group Kick! Get a jump on the weekend and hit the club with Club Arc. Feel like leaving it all behind? Take an intense long Cycle ride! Ready to party? Hit the dance floor and get your Groove on! Need to ground yourself? Take a breath with Yoga! It’s always an hour of Power with Group Power! Step it up a notch with Group Step. Lengthen and Strengthen with Pilates. 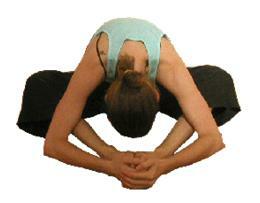 Yin yoga is a set of poses to enhance the deep tissue and meridian. Yin yoga postures gently stretch and rehabilitate the connective tissues that form our joints. The yang style is much more about dynamic movement that focuses on strength and building inner heat. But within Yin there is Yang, and within Yang there is Yin. And by bringing these elements into harmony we can lead more balanced live on and off the mat. For beginner or anyone who wants to deepen their practice. Please email: yoga@answerisfitness.com to reserve a spot now!